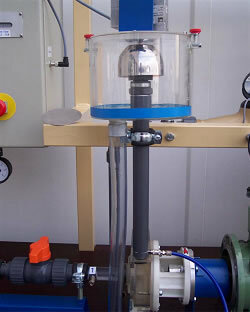 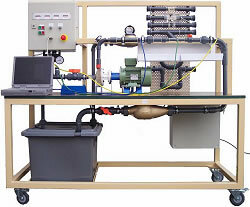 Test stand bases on a transparent centrifugal pump with measuring systems to determine its characteristics. 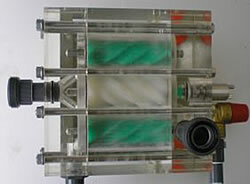 The impeller is visible and can be interchanged quickly with another different impeller type. 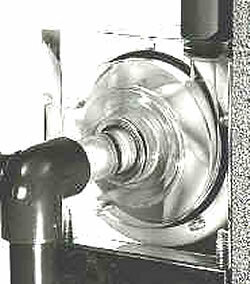 Further it is possible to perform fluid dynamical investigations on elements like pipe bends, elbows, reductions, expansions, valves, nozzles, ventury tube, pitot-static tube.